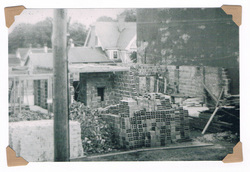 The beginning of construction in 1909. 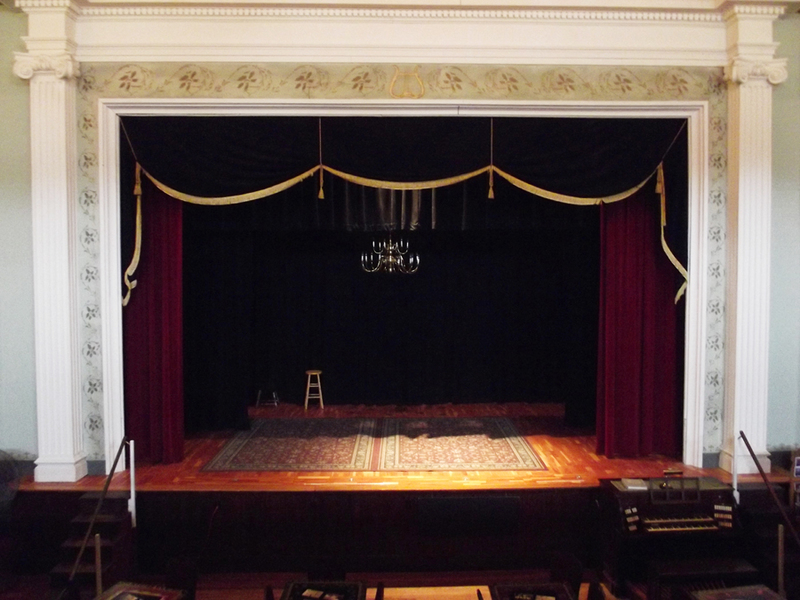 The Jericho Arts Council is steward of the Town Hall Theatre, one of only a few remaining century- old proscenium theatres in this area. Original construction began June 21, 1909, and the Town Hall Opera House opened on February 23,1910, with the play "Private Secretary". 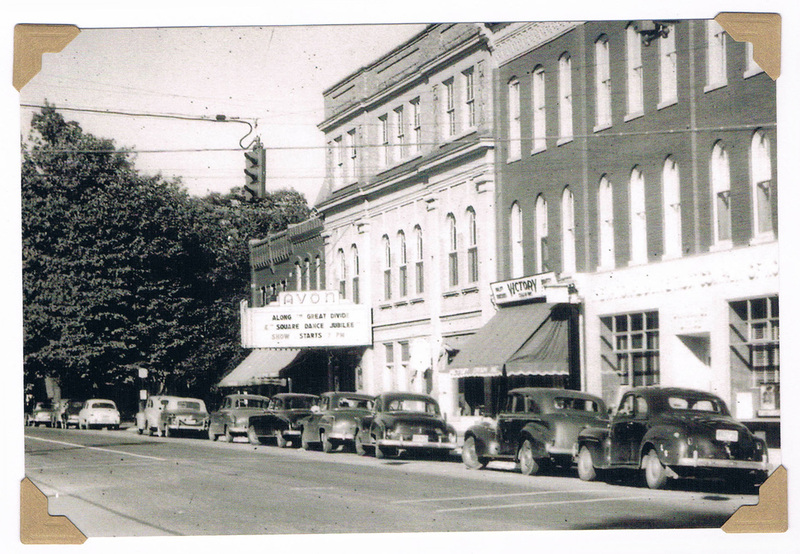 Live performances were presented until 1938, and the space was then converted to a movie theater in 1941, operating as the Avon Theater until it closed in the late 1950's. 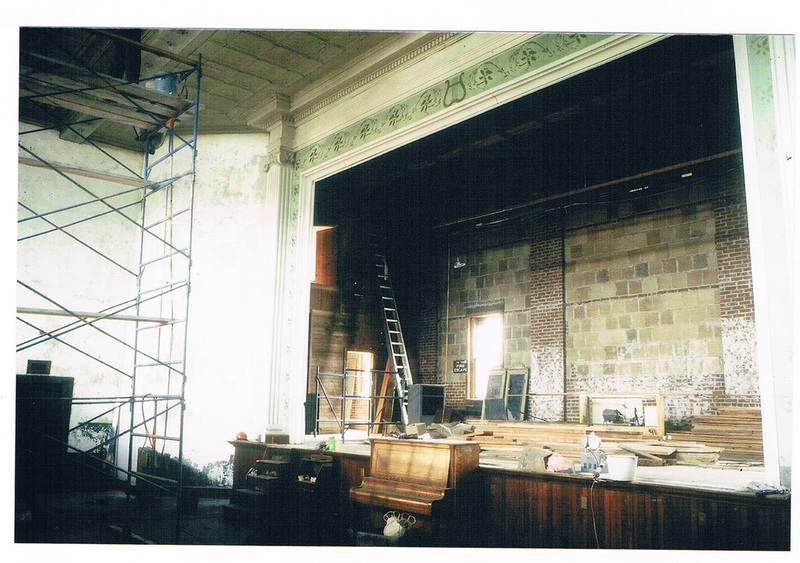 With no one willing to take on the cost of repairs, it was then used for storage, and by the mid-1970's had deteriorated badly, when Reynold Johnson organized a group of local residents to restore the theatre. 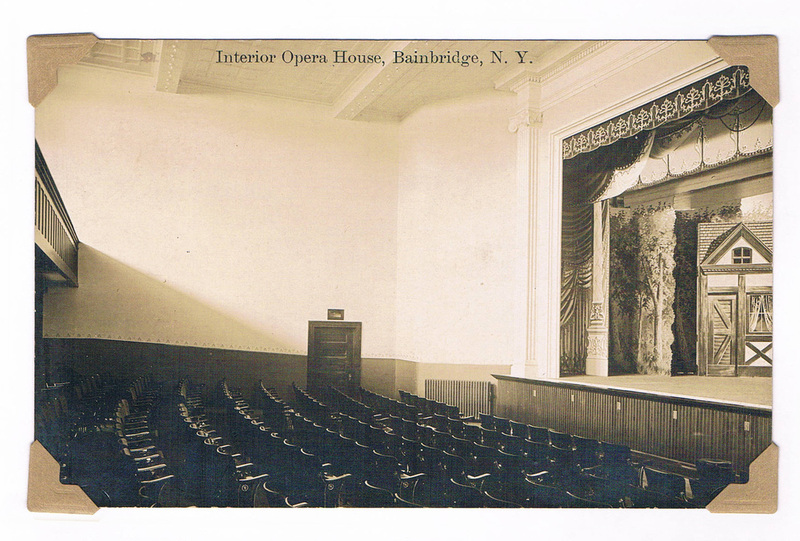 An early postcard showing the interior of the theatre. An early play rehearsal at the theatre. 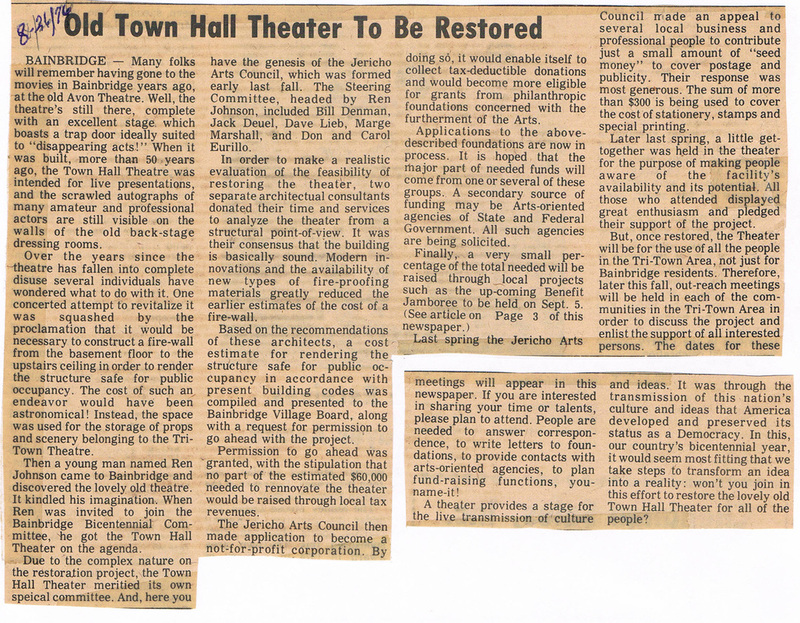 Jericho Arts Council was founded in 1976 expressly to “restore, renovate and maintain the Town Hall Theatre”, and “to make the arts available to all citizens of the Towns of Bainbridge, Afton, Sidney, Unadilla, and the surrounding area”, and “to promote the cultural betterment of the area”. 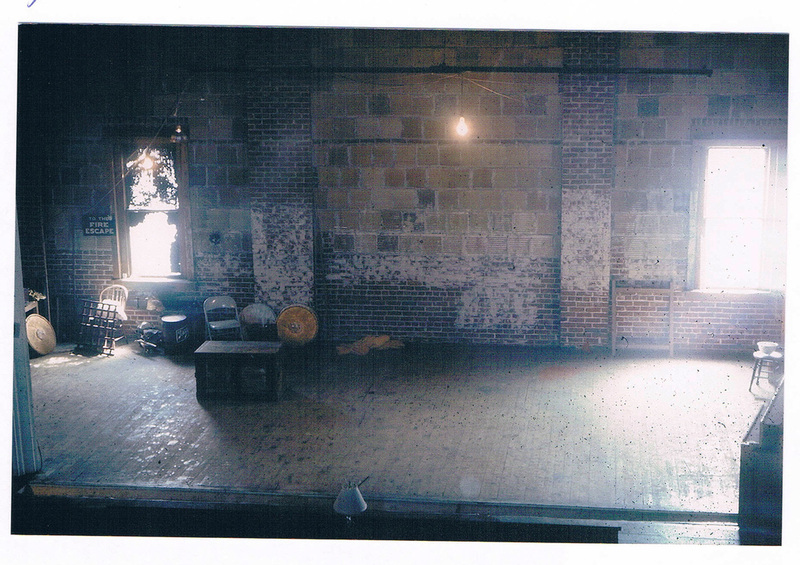 As these pictures show, there was a great deal of work to do, but restoration not withstanding, the theatre reopened on April 28th, 1978 with the Bainbridge-Guilford music department's production of "Pirates of Penzance" under the direction of Rick Bunting. Art exhibits began in April of 1979 with "Show on Stage", the first Annual Fine Arts Show. 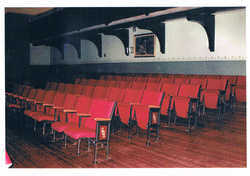 All main floor seating has been reupholstered. 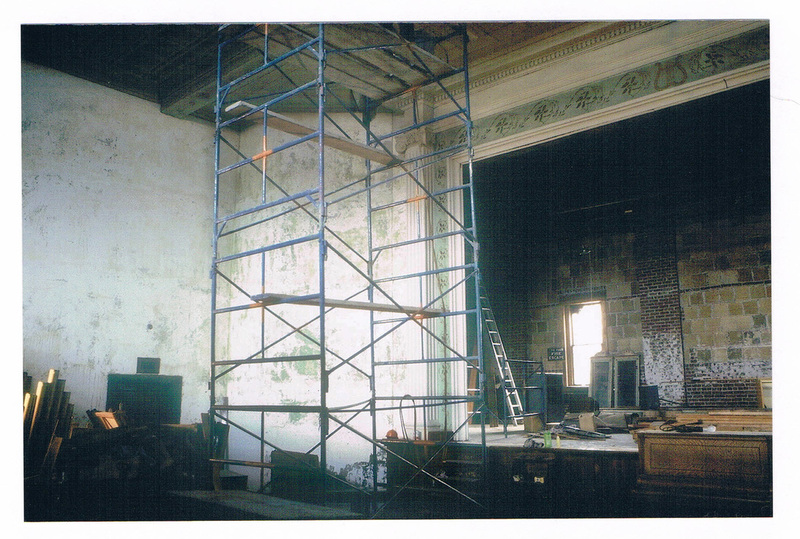 In 2010 the theatre celebrated it's centennial anniversary, and while restoration is ongoing, so much has been accomplished! We now have a beautiful performance space boasting 250 seats,and acoustics that are second to none! We currently present a "Town Hall Opry" series, showcasing regionally and nationally known bluegrass bands eight times a year, and also present an additional eight musical performances in a variety of genres. Check out our upcoming events. We have a resident theatre group - The Out of the Woodwork Players, that presents plays as least twice a year. Our season runs from September to May, and art exhibits are scheduled in our Gallery to coincide with performances. We have beautiful new stage curtains and swags. 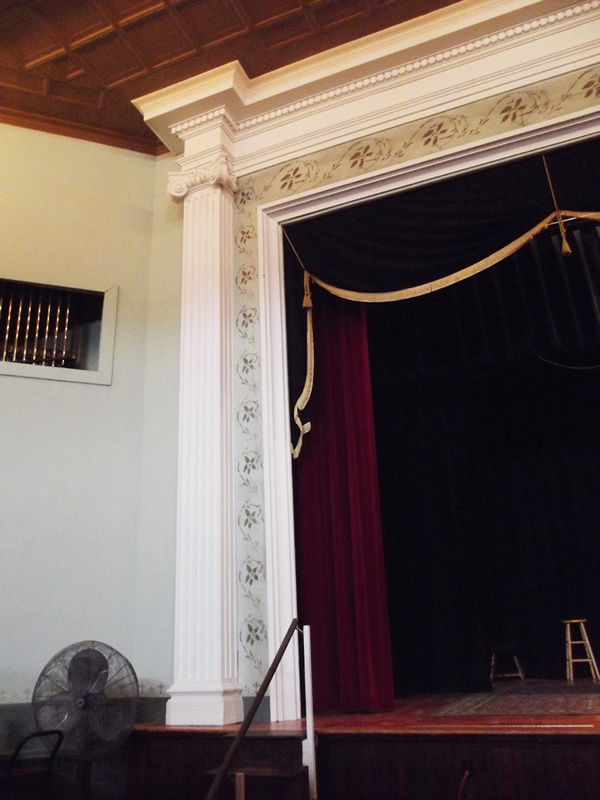 A better look at one of the proscenium columns from which our logo was derived. 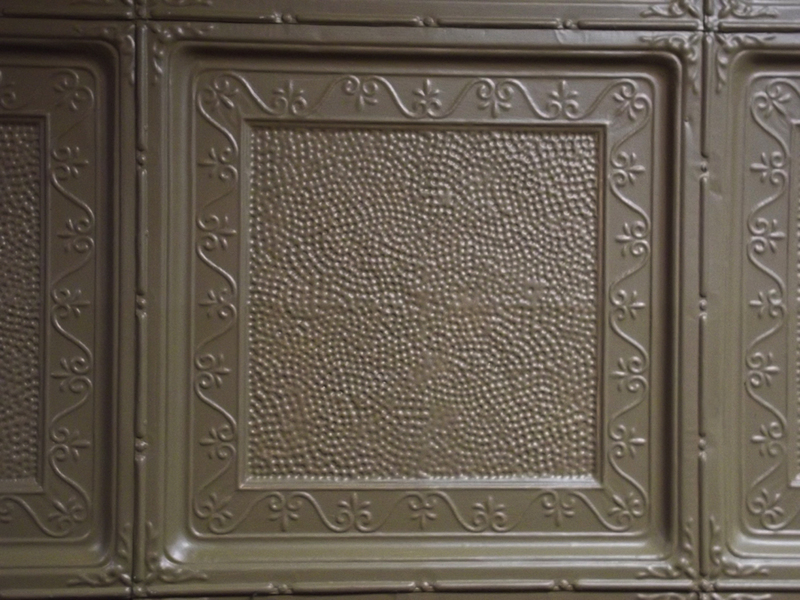 Detail of our beautifully restored tin ceiling. Our 1933 AEolian-Skinner pipe organ. 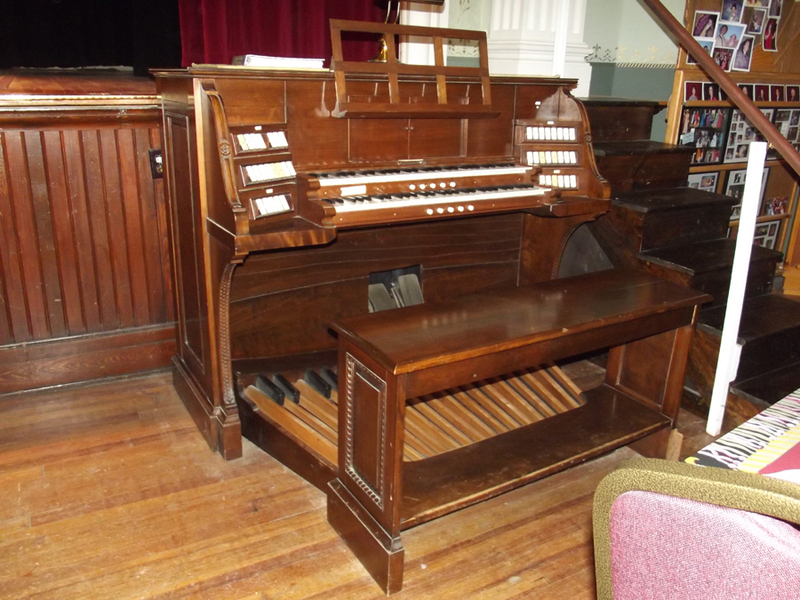 Perhaps the only surviving, functional residence organ built by Ernest M. Skinner. Click the picture for more details.